1. MEATLOAF – Sure it may sound like a delicious entree but when you are flying you most definitely aren’t going to want to eat this type of heavy meal. When served with mashed potatoes and gravy it may sound good but it is less than appetizing when you are in flight. 2. HERRING AND POTATO SALAD – There is perhaps nothing less appetizing then some cold fish served with a side of warm potato salad. Things you most definitely don’t want to have served to you in flight are those items that could make you sick if they are not kept cold enough. There is enough risk of vomiting on an airplane without putting that in your gut during in flight turbulence. 3. EGGS – Eggs are just a food that is rarely cooked right to begin with. When fresh maybe not so bad but eggs do nothing but become rubbery when wrapped in plastic wrap for hours on end. If you want to hold onto your cookies, then forgo putting eggs in your belly mid-flight and you will likely feel a whole lot better. 4. ANYTHING MEAT AND POTATOES – Seriously no matter what meat, potatoes, and vegetables the airline puts in front of you, there are three things you can most definitely count on. The meat will be unidentifiable, the mashed potatoes won’t have any potato in them, and the veggies will be rubbery. It is for this reason that this type of dining should be saved for when you are on the ground. 5. SPAGHETTI – Now there is something that if vomited up will be a real treat to clean. Amazingly, some airlines will put pasta and red sauce in front of their passengers. Even in the best of restaurants this is a meal that can be difficult to prepare, so just imagine how tasty it is when unwrapped thousands of feet above land? 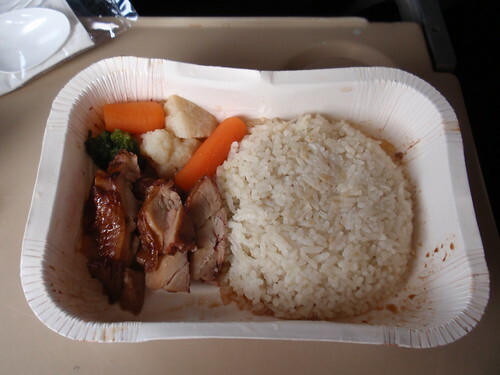 Airline food, like hospital food, can be hit or miss. Airlines, however, should stick to snacks, beverages, and the occasional sandwich. All though they may not be anything to write home about they will serve you better in the air and are a safer choice when flying. Article by ezCater – the easiest, most reliable way to find and order Pittsburgh catering.